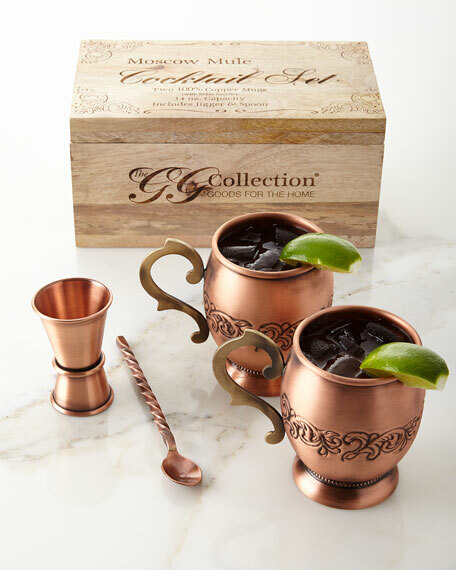 Handcrafted Moscow mule set in copper. 4-piece set includes two medallion Moscow mule mugs, jigger and spoon. 7.1"W x 8.4"D x 5.4"T.